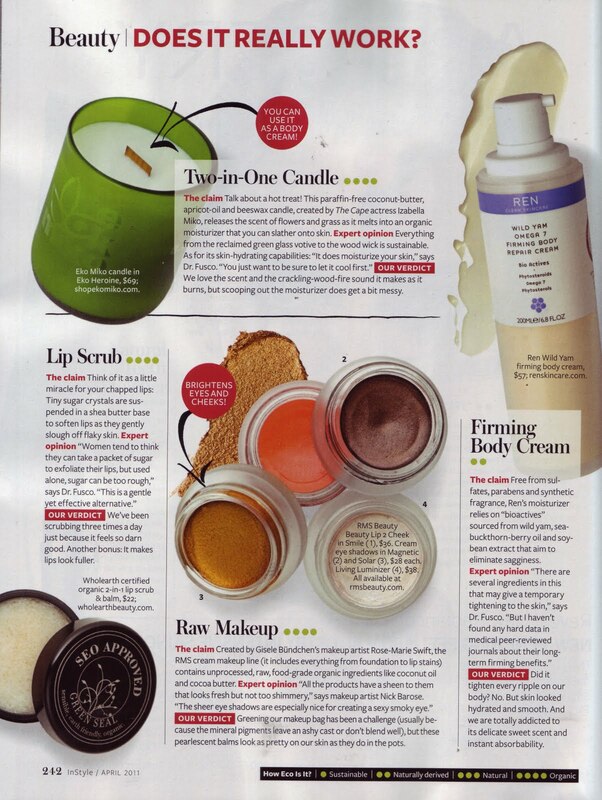 rms beauty makes another appearance in InStyle–but this feature is for April and just in time for Spring! A few of the products mentioned include the cream eye shadows, the Living Luminizer and the Lip2Cheek. And what was InStyle’s verdict on the raw makeup?